One of the gifts my son received this past Christmas was an addictive brain game called Rush Hour. It comes with a bunch of reference cards showing different levels of difficulty (easy, medium, hard, and expert). Each card has a pattern of plastic toy cars that you have to start each unique game with. 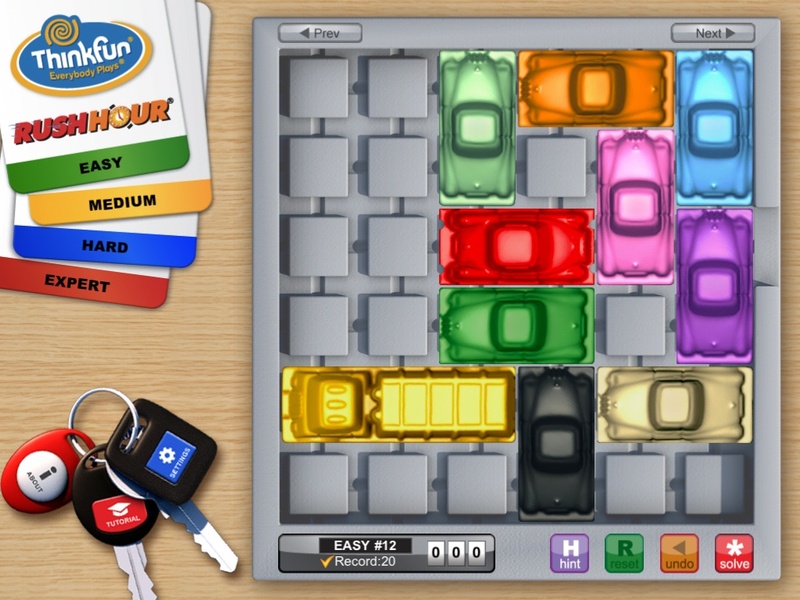 The goal is to move the cars in just right combination so you can move your red car out of the traffic jam and off the game board to win the game. I have tried to play this game and the harder levels are difficult even for an adult. My son spent hours on the hard level with no success. Mentally exhausted, he shouted out to me, “Dad, this is impossible!”. Hearing this, I turned my head towards him, then a few seconds later, he had solved it. I used this incident to teach him that if you never give up and keep on persisting, you can solve things that seem impossible at the moment. This is a good lesson for adults as well, for we have to visualize and have faith in a solution even when at the moment, things seem impossible. Our children’s success in life will depend on their persistence in not giving up when things look bleak.